Maersk Line is building the world’s largest container ships to be known as the Triple-E class. 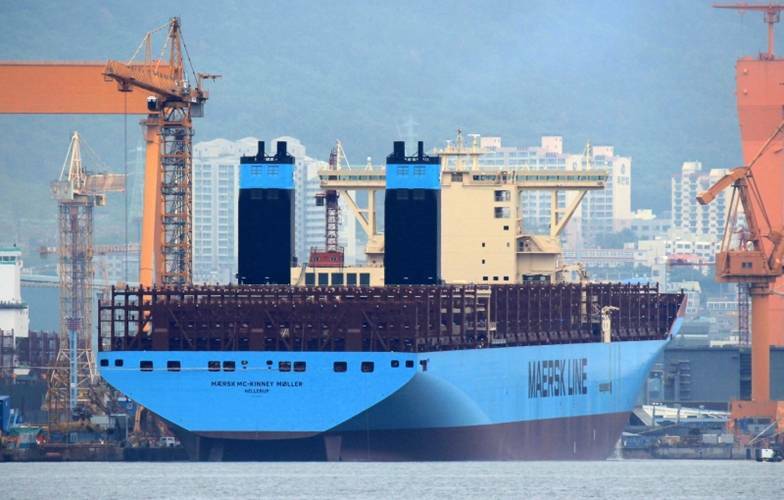 Each ship will have a capacity of 18,000 20-foot containers (TEU) or most probably 9,000 40-foot containers, the later being more in use than the former. It’s important to note that TEU stands for twenty-foot equivalent units, therefore when dealing with 40-foot containers, we describe these as FEU (forty-foot equivalent). FEU may also be used to categorize two 20 foot containers. 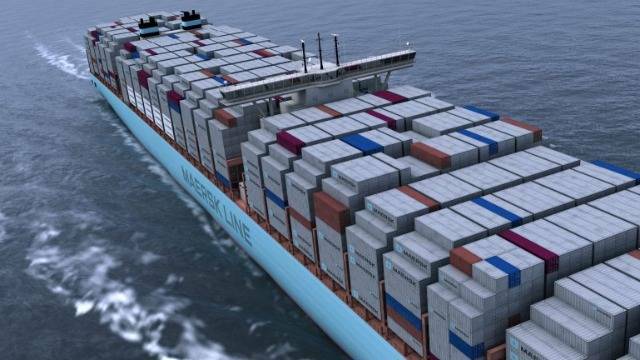 With the launching of this new class of container carrying ships Maersk will break its own world record. 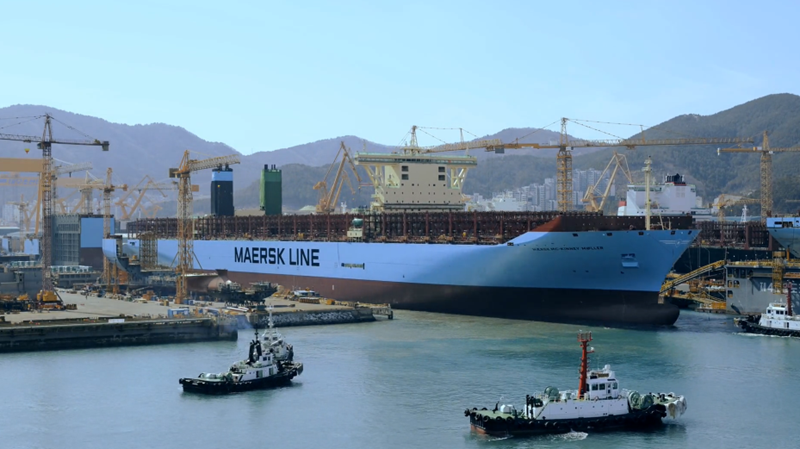 The Triple-E class ships are 400 meters long, 59 meters wide and 73 meters high, and the 20 new vessels on order are expected to be deployed on the vital Asia to Europe trade routes. 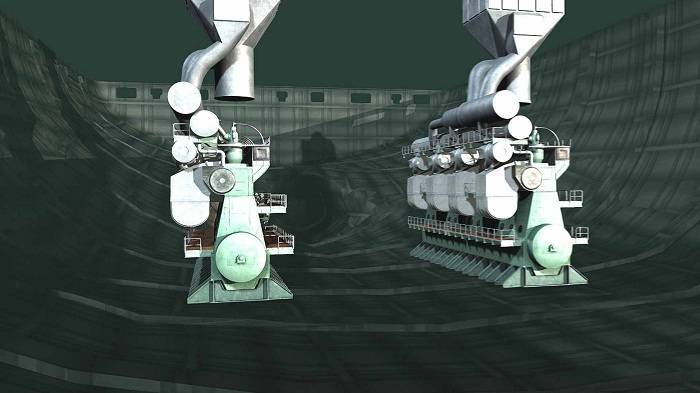 The Triple-E class can be considered as prototypes of green ships, as their slower propulsion and larger screws are designed to consume less bunker fuel, making these ships more energy efficient. The name Tripe-E refers to the three main purposes of the design, which are economy of scale, energy efficiency and environmentally improved. 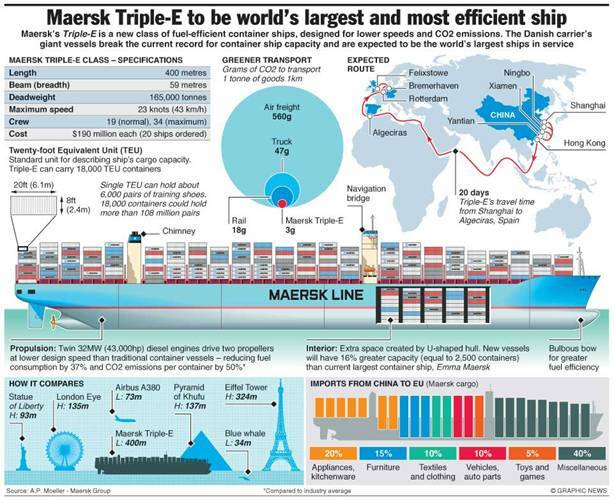 •	Triple-E class ships are designed to emit 20% less CO2 per container moved compared to the Emma Maersk, currently the world’s largest container vessel, and 50% less than the industry average on the Asia-Europe trade lane. 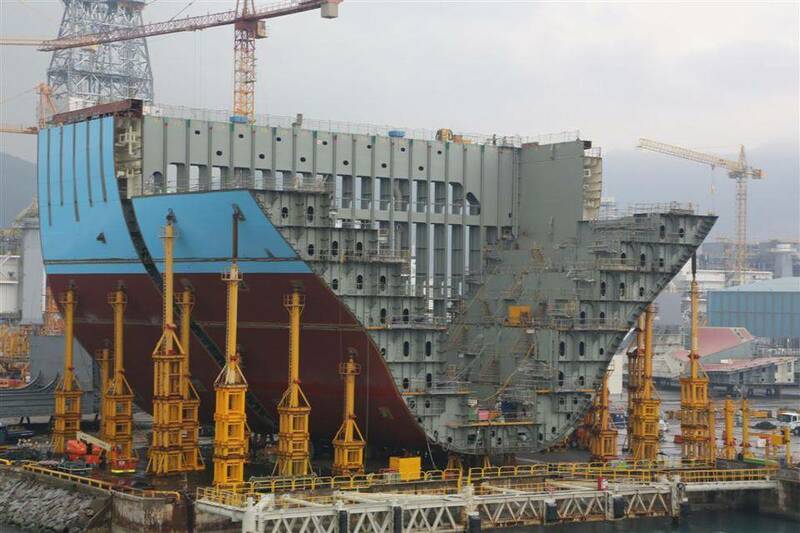 •	The vessels will be equipped with a waste heat recovery system, saving up to 10% of main engine power. This equals the average annual electricity consumption of 5,000 European households. •	Triple-E vessels travel 184 kilometers using 1 kWh of energy per ton of cargo. 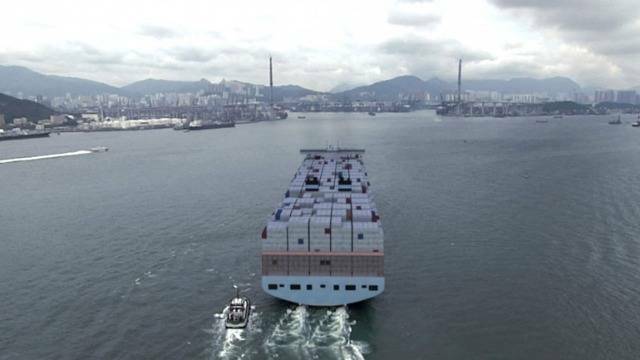 •	50% less carbon dioxide (CO2) will be emitted per container moved compared to the industry average on the Asia-Europe trade route. 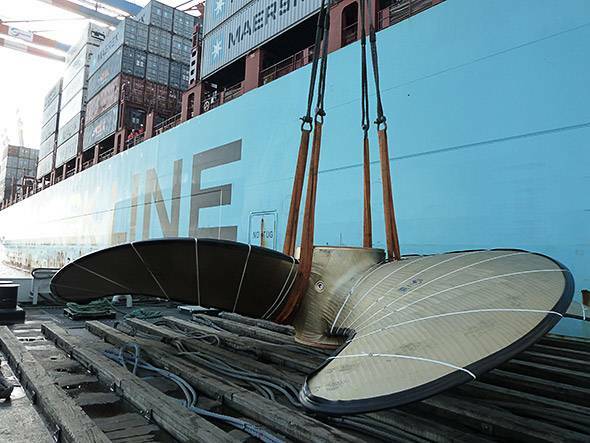 The first 10 vessels will be delivered in 2013 and 2014, with the remaining scheduled for delivery in 2014 and 2015. 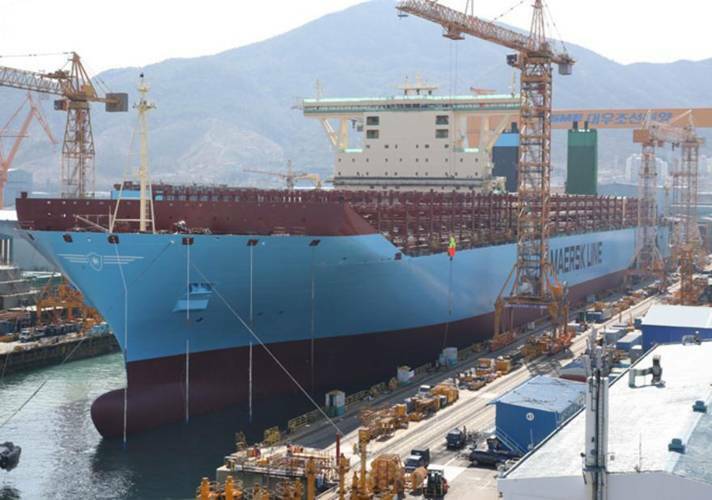 The ships are being built by Korea’s Daewoo Shipbuilding and Marine Engineering Co. Ltd. Maersk Line, the world’s largest container line, signed a contract to buy 10 Triple-E vessels, with an option for 20 more, from Daewoo Shipbuilding and Marine Engineering of South Korea in a deal that could reach over US$5 billion. 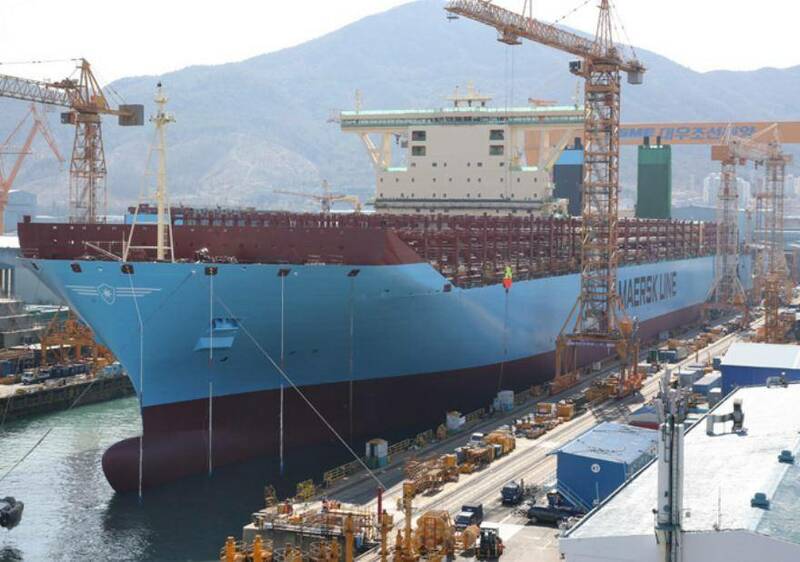 The ships will be delivered from 2013 to 2015 and will have 16% more capacity than Emma Maersk, the world’s largest container ship in operation. In the next blog we will look at the current state of the container ship industry and how the Tripe-E class will affect the industry.